by Barbara Ehrenreich | Nonfiction | This book has not been rated. What an eye-opener this was. 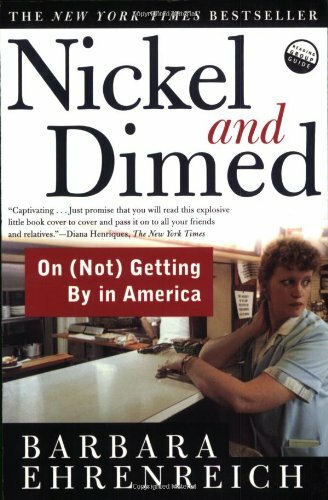 What i learnt, basically, was exactly how it was described at the back: millions of Americans work full-time, year-round, for poverty-level wages. What a privilege to live in the Netherlands, with welfare, medical insurance for everyone (apart from the thousands of refugees, that is) and unions, who have accomplished so much to protect the workers. I wonder if there are people in Holland having to work two jobs in order to feed their family. This book goes to back to the friend I borrowed it from.